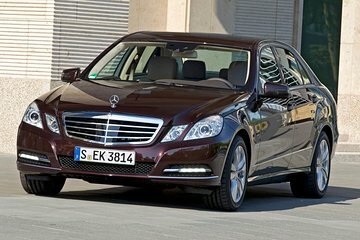 Enjoy hassle-free transportation from Vienna to Prague with this private transfer service. While you leave the navigating to a professional driver, relax on the journey in a comfortable private vehicle. No need to worry about calling a taxi or the inconvenience of shared shuttles. Our tour guide was early which was great, had a very nice very new Mercedes that was immaculate. He was very knowledgeable about the area and gave us many tips on things to do in Prague. We would highly recommend this service! Our driver was on time for the pick up at our hotel in Vienna and delivered us 3.5 hours later at our hotel in Prague. He even stopped at McDonald's for my french fry fix. I would recommend this service.